Rachel & I ventured to the cinema to see Pitch Perfect 3 (and we had the pleasant surprise of being in a theater with recliners too). While we enjoyed the soundtrack and laughed at the jokes, it still didn't quite live up to the magic of the original. I liked that the story explored growing up without growing apart from the family/friends you choose, but the rest of the plot just felt a touch too over the top. 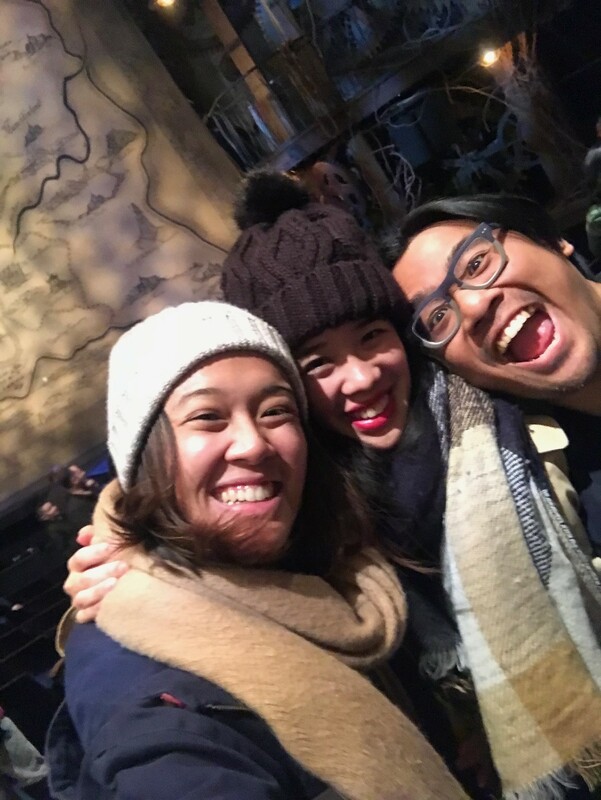 The day after that, I went to see Wicked with Macky and Rachel for the second time on Broadway. I'm a really big fan of the musical (in fact, it's probably my all-time favorite), both for the story and for the music. It was, as always, such a great production - the costumes! the lights! the sequences! the stage! But, by far, my favorite thing about this particular performance was Jackie Burns, who did a fabulous job bringing Elphaba to life (and blowing all three of us away with her incredible vocals). A couple of days after, Rachel & I grabbed dinner at Veselka, a Ukranian diner spot that my friend Lili introduced me to last year. After stuffing our faces (you can find out what we ate in last month's Table for Two), we went to get dessert from Chikalicious (and those churro cones were delicious!). We had an impromptu family dinner at Olive Garden the next day after Macky returned from a business trip, and I met up with Kristin the day after that for a bookstore date! It was definitely a 'heart full' kind of week, spending time with everyone I love. And then came the week I attended two book events back to back. 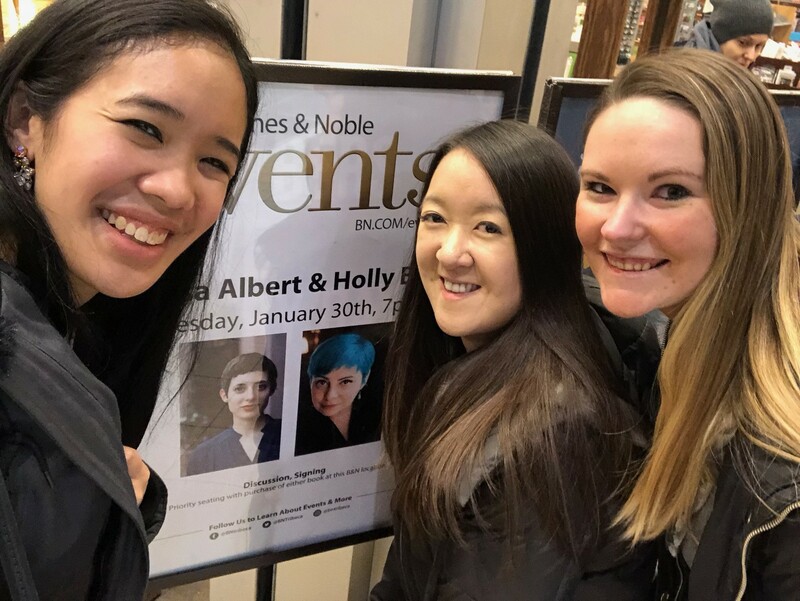 I went with Kristin and Rachel to celebrate The Hazel Wood and The Cruel Prince at Barnes and Noble Tribeca. It was such a treat to listen to Melissa Albert in conversation with Holly Black. I loved listening to them discuss fairytales, fairies, their teen years, writing and their novels (both of which were fantastical reads, by the way). The following day, I was at Books of Wonder for the Reign the Earth event with A.C. Gaughen and Zoraida Cordova, and that was fun too! Annie and Zoraida were so clearly friends, and I loved hearing them joke around and discussing writing and both their books. I've mentioned seeing Waitress a couple of times before, but I was lucky enough to get to see it again... twice, which marks five times total that I've gone to see this show. (It's so worth it though!) I saw it with Sara Bareilles and Drew Gehling as the leads (which was fantastic!) and also with Jason Mraz and Sara Bareilles as the leads (which was equally fantastic!). I genuinely think that the story shifts with the different approaches that each actor has to their character. I also think it was such a treat to my ears to hear Jason and Sara sing together, especially as a fan of both their music outside of the show. Plus, the show itself is fantastic and funny and heartfelt and the music is so, so good. 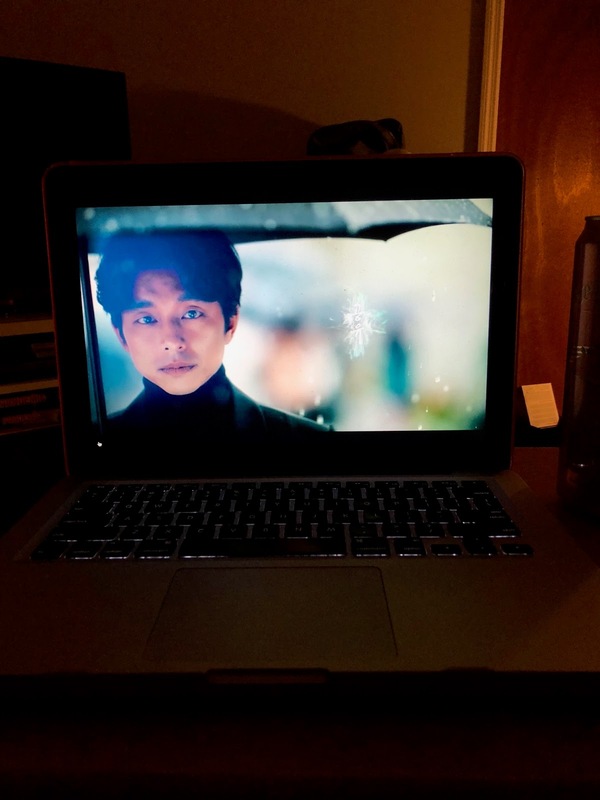 Speaking of shows, my sisters and I finally finished Goblin (well, sort of, seeing as we have two of the epilogue-ish episodes left to watch). I've enjoyed being immersed in this story, and spending time with the characters (particularly Grim Reaper and Goblin). The epilogue episodes feel a touch anticlimactic after the big dramatics around the main plot, but I'm still enjoying them nonetheless. Apart from our K-drama indulgence, I also finally started a couple of anime shows I've been meaning to watch. Yuri on Ice! is a sports anime centering around Japanese figure skater Yuri as he enters his last professional skating season with Victor, a famous Russian skater and a particular favorite of his, as his coach. I've been loving what I've seen of it so far (four eps now! ), and I've got a huuuuuge soft spot for Victor. I also started The Ancient Magus' Bride, which has beautiful animation and an intriguing beginning. I can't wait to see more! 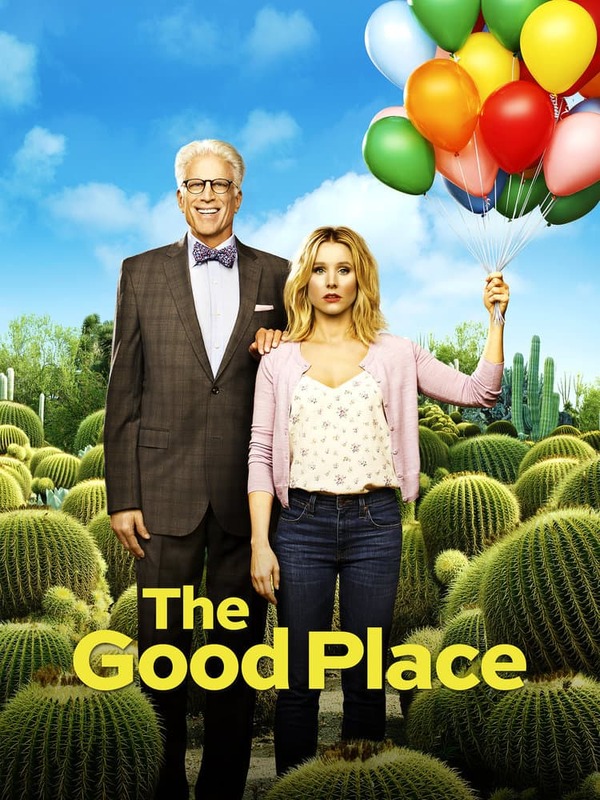 And last, but certainly not least, I want to talk about The Good Place. I started watching this show because of Shannon (who runs Canterbury Road Co., and who I adore), and I'm so glad I did. Basically, it's about a gal named Eleanor Shellstrop who dies and finds herself in 'the good place'... only she know she doesn't actually belong there. It's funny, it's heartfelt and it's got a great cast of characters. The first two episodes were just okay, but when things start to pick up, they really pick up! Rachel & I finished the first season recently and we're so looking forward to seeing what shenanigans take place in the next one. This week has been full of hangouts too - Sushi Island with the fam on Monday, Caracas Arepas Bar and Snow Days with Rachel on Tuesday (Table for Two about these two spots coming up on Monday, so look out for it!) and date night with Macky last night (which was just the two of us sitting down to watch more anime) (speaking of, I'm loving Boruto: Naruto Next Generations so much especially because the current arc centers around Shikadai Nara, loving Cardcaptor Sakura: Clear Card because I love my precious children and I'm really dying to find out how Bleach concludes since I've finally made it to the big showdown happening between Ichigo and the big bad villain). Like I said, it's been a busy time, but hey, life's meant to be lived, isn't it? At least, that's what I think! Here's to your year being busy in the best way, and that it only continues to get better from here on out. I'm not-so-secretly hoping for that for myself too, and hopefully, I'll have more stories to tell in the weeks to come!